Our featured News and social media feeds! 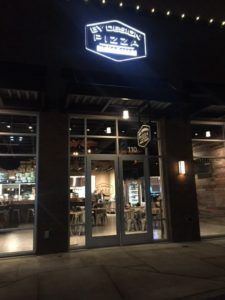 Beaverton, OR — The American Breast Cancer Foundation (ABCF) is proud to partner with By Design Pizza for the grand opening of its Beaverton, OR restaurant. Participants in the grand opening celebration will receive a free personal pizza with any donation to ABCF’s lifesaving programs. The partnership will help ABCF provide mammograms and screenings to underserved individuals across the nation. Donations will support ABCF’s Breast Cancer Assistance Program, which directly serves those in need. By Design Pizza invites customers to design their pizza exactly how they want – for a reasonable price. Using high quality and fresh ingredients, By Design Pizza gives the pizza power to the customer, while working to minimize its ecological footprint by recycling at all levels. To further its commitment to social responsibility, By Design Pizza chose to partner with ABCF as it brings its product to Beaverton. The Beaverton Grand Opening and ABCF fundraiser will take place on Feb. 12 from 11 a.m. to 9 p.m. at 11800 NW Cedar Falls Dr. Portland, OR 97229. Stay tuned to https://www.facebook.com/bydesignpizza/ for updates to receive a free personal pizza with any donation to ABCF. By Design Pizza was founded in Portland, OR to answer the age-old question, “Why can’t I get a pizza for an affordable price the way I want it?” By Design Pizza offers the highest quality service, food, and environment. We let you design your pizza the way you want without extra charges. Using only the highest and freshest ingredients like 100% whole milk mozzarella, virgin olive oil imported from Italy, dough made fresh daily in the store and fresh vegetables cut daily, our team members will help you create a unique pizza masterpiece. We offer individual and family options, as well as delivery. On Feb. 12, our second location will open to offer the freedom of choice to customers in Beaverton, OR. Program. It is the goal of each of these programs to reduce disparities in access to diagnosis and the treatment of breast cancer, particularly among the poor, the underserved, and the uninsured. These interventions may lead to modification of negative factors and improve the survival rate of clients served.